In Iowa, antique tractor parades are popular ways to enjoy the state's rural heritage while enjoying spending time with friends and family. Many communities throughout the state sponsor agricultural equipment shows and festivals that include parades, displays, and demonstrations of the beauty and power of antique tractors. If you admire antique farming equipment, you'll really enjoy seeing Iowa antique tractor parades. If you live in Iowa or plan to visit the state, you'll be pleasantly surprised to learn that there are many opportunities for you to enjoy antique tractor parades throughout the summer and fall months. 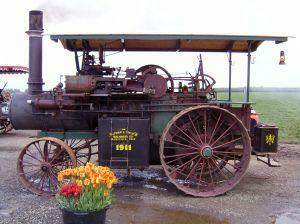 Yesterday's Tractor Company publishes a directory of antique tractor shows by city and month. The listings are updated frequently, so it's a good idea to check back often to see if new events that interest you have been added. The Old Threshers Reunion is one of Iowa's premier tractor-related events. This festival is held the last week of August each year, from Wednesday through Sunday, in Mt. Pleasant, Iowa. The reunion is sponsored by the Old Threshers Foundation, a charitable organization dedicated to historic preservation, and it celebrates rural life in the Midwest. Each year, the five day reunion is kicked off with the annual harvest parade, featuring local marching bands, antique tractors, floats, and other forms of entertainment. Additionally, a Cavalcade of Power parade is held at the grandstand each day of the event at noon. Attendees will get to see antique tractors, steam engines, classic cars and trucks, horses and wagons, and more (weather permitting). The Old Threshers Reunion also features concerts, equipment exhibits, and many other forms of entertainment. There are over 125 activities scheduled for each day, and programs can be purchased on the grounds. There is a campground on the site, and many visitors choose to take advantage of this option for their lodging needs. Train and trolley transportation are available, as well as electric scooter rentals. The Albert City Threshermen & Collectors Show is held each August. It is organized by the Albert City Threshermen & Collectors Association, a nonprofit organization dedicated to preserving and exhibiting agricultural and pioneering equipment. 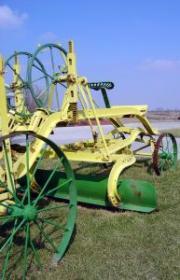 The event features all types of antique tractors, along with a variety of other kinds of agricultural equipment. The event is held on the Heritage Site, a 15-acre tract of land that was donated to the group in 1975. On-site camping is available during the show. The Mid-Iowa Antique Power Association holds a three day "power show" each August in the town of Marshalltown, featuring all brands of tractors and other equipment. One of the main highlights of the event is the Parade of Power, which features antique tractors and other impressive agricultural and production paraphernalia. Many county fairs held throughout Iowa include parades featuring antique tractors. County fair activities and events vary each year, but it's a safe bet that classic farm equipment will be center stage at any major fairs and festivals in Iowa. The county fair events listed below are likely to feature Iowa antique tractor parades and displays. Event schedules are usually published online a month or more before the event begins. 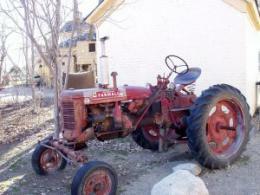 The best way to get a sense of what is was like to actually work with antique tractors is to see them in action. When you attend a parade that highlights these amazing pieces of equipment, you'll get a glimpse of what life was like in rural America's agricultural communities many years ago.